Apples of Gold has done it again. With such a talented team of creative designers, you should expect nothing less than perfection. 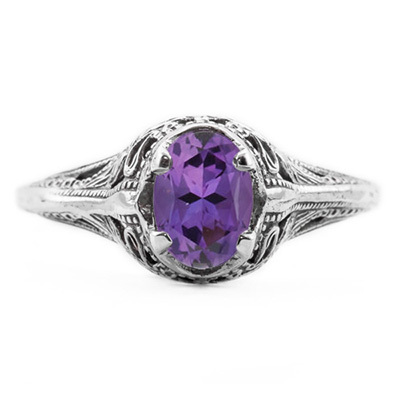 Lit from within, the vintage style and swan design of the purple amethyst contribute fine detail to a splendid ring. A beautiful gemstone set in 14K white gold, this ring measures 7mm x 5mm and is certain to be true favorite. The purple amethyst is round i shape and is skillfully set in the center of the design. 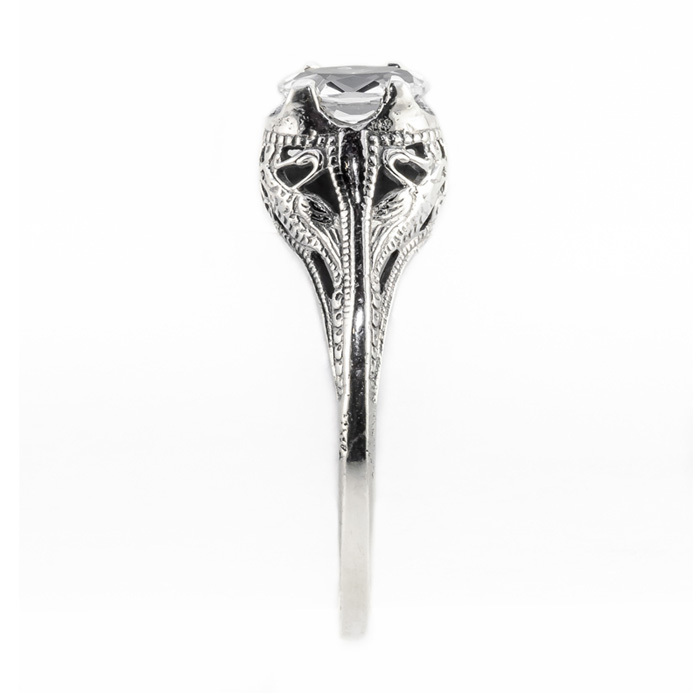 This 14K white gold women's ring is the perfect accessory to every outfit and occasion. 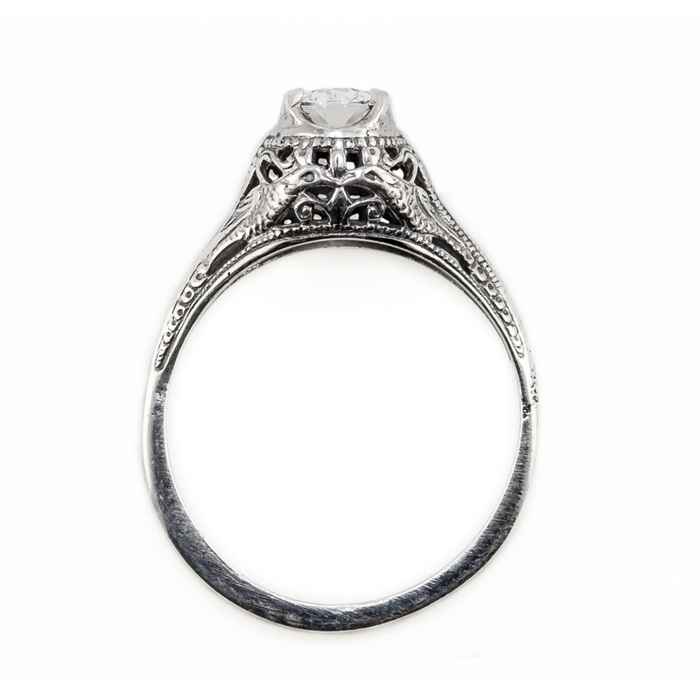 Please reference our ring sizing chart and buy one today. We guarantee our Swan Design Vintage Style Oval Cut Amethyst Ring in 14K White Gold to be high quality, authentic jewelry, as described above.